Justice League: God & Monsters Chronicles will premiere June 8 on Machinima. Justice League: Gods & Monsters Chronicles is the companion web series to Bruce Timm’s upcoming animated feature film. The film takes place in an alternate universe where the Justice League uses brutal force to maintain order on Earth. When scientists begin dying, the world's governments challenge the League's dominance. Forget everything you thought you knew about the @DCComics universe with Justice League: #GodsandMonsters, debuting June 8th. Chronicles will introduce Timm’s very different new takes on the Justice League’s Trinity: Kirk Langstrom as a vampire Batman, General Zod’s son as Superman, and Bekka, bride of New God Orion, as Wonder Woman. 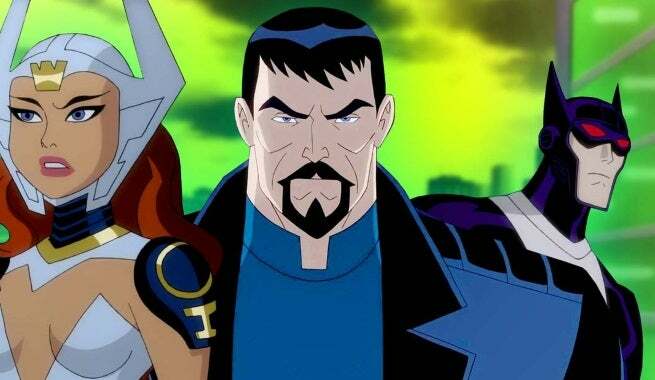 The Justice League: Gods and Monsters animated feature will go on sale July 28.